Kapton® film. Polyimide. 0.005" thick, 24" wide. Sold by the linear foot. 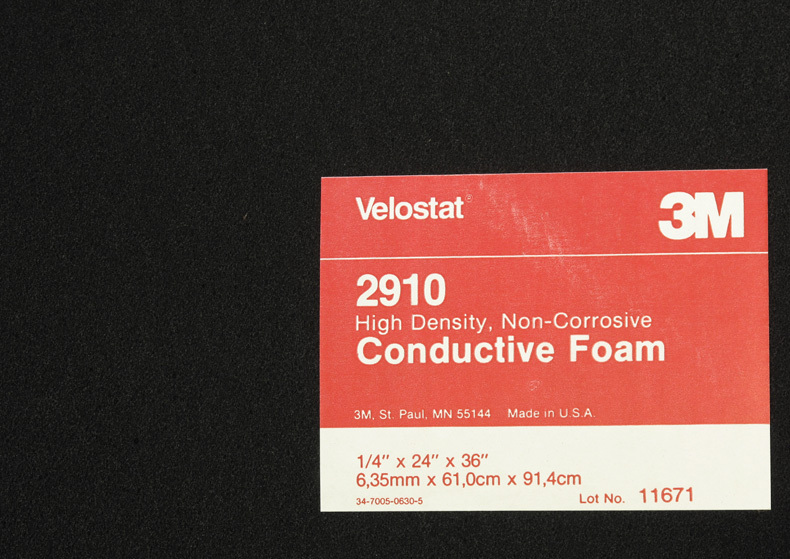 3M® 2910 series high density carbon loaded plastic (anti-static foam). 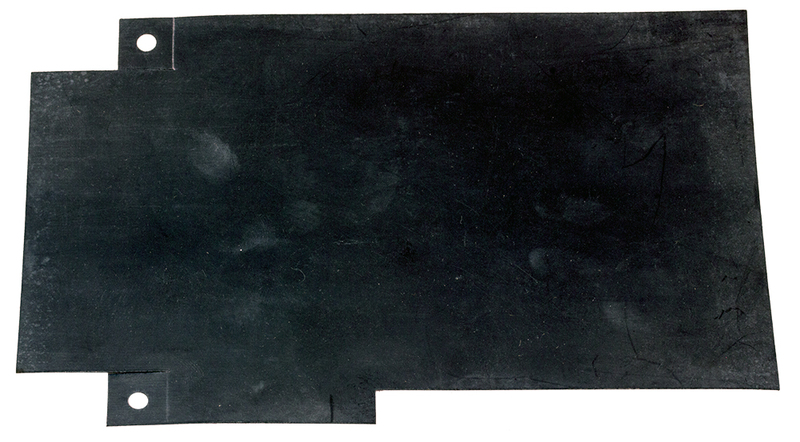 1/4" thick x 24" x 36" sheet, black. Alt P/N: 34-7014-1608-2. Mica sheet. 6-5/8" x 6-5/8". 2-3/4" diameter opening, centered. 0.013" thick. 6 holes. MICA sheet. 10" x 10", 0.025" thick. Great electrical insulator @ RF frequencies. Also makes excellent luminaire panels for lamp projects. Nelco 12" x 18" fiberglass sheet. 0.006" thick. Ultra thin insulation. Fiber matrix. Also may ship P/N: H206MWP00P. Fralock plastic sheet insulator to line and insulate a metal chassis. 1.575mm, 0.062" thick. Fastex W/9471LE. Self-adhesive. 13" x 4". Fralock plastic sheet insulator to line and insulate a metal chassis. 0.762mm, 0.03" thick. 30 mil black Formex. 10" x 6-5/16". Fralock RF insulation sheet. 4-5/16" x 7-1/2". 0.020" thick. Fralock RF insulation sheet to line / insulate a metal chassis. 7-3/4" x 3-1/4". EIS plastic sheet insulator to line and insulate a metal chassis. 0.508mm, 0.02" thick. 20 mil, black. 8" x 4-9/16". Fralock sheet insulator to line and insulate a metal chassis. 0.508mm, 0.02" thick. 20 mil black Fastex. No adhesive. 7-1/8" x 3-7/8". Fralock lexan sheet insulator. 20 mil, FR-60. Self-adhesive. Dimensions: 8" x 3.5" x 20 mil. Scored @ 1-1/4", 3-1/4" and 3-3/8". Mfg. P/N: 361938-00. Fralock power board sheet insulator to line and insulate a metal chassis. 20 mil black fastex. 8-1/16" x 4-23/32". Fralock sheet insulator to line and insulate a metal chassis. 0.255mm, 0.01" thick. 10 mil black Formex-Gk. 5-1/8" x 11" max dimensions. Thermalloy aluminum oxide insulator pad. 29/32" x 23/32" x 3/64" (0.740" x 0.915").